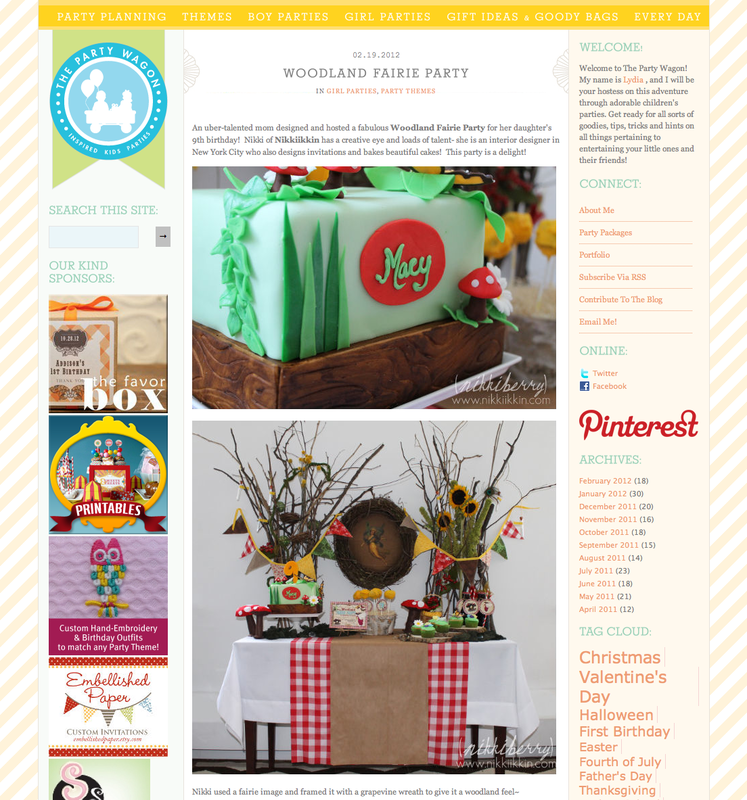 I am so excited to share that Macy’s Woodland Fairie Birthday Party is being featured on a fabulous site for party inspiration and resource. The Party Wagon has given my special party the royal treatment with photos and write up. Im touched at Ms. Lydia’s thoughtful introduction of me and my creation. I’ve really never been “described” before….I love it! Its an honor to be complimented by other party stylists and enthusiasts and Im very thankful that the Fairy party will now be shared with many more people looking for party ideas. Thank You Lydia!